“Let’s go on a bear hunt. Oh, sure, why not?” Ok, you’re not really going on a bear hunt, but you do love being a part of the great outdoors. For all day comfort even in wet weather, we suggest you try the men's KEEN Utility 1007024 Pittsburgh steel toe wat ... (see full details) (see specifications) #KEN1007024. “Let’s go on a bear hunt. Oh, sure, why not?” Ok, you’re not really going on a bear hunt, but you do love being a part of the great outdoors. For all day comfort even in wet weather, we suggest you try the men's KEEN Utility 1007024 Pittsburgh steel toe waterproof hikers. These premium safety toe hikers feature bison (brown) and red waterproof Nubuck leather uppers with distinctive red and brown laces and reflective red webbing for additional safety. This men's footwear is also equipped with locking metal hooks and lacing eyelets. In addition the KEEN.Dry waterproof breathable membranes protect your feet from moisture, but at the same time allows heat and perspiration to escape for a drier feeling all day. The Pittsburgh Series Hikers have an interior lining that's a multi-zone lining system that transports moisture away from your feet. These hikers have removable Metatomical (anatomically contoured) dual-density EVA footbeds. Further cushioning and support comes from the dual-density, compression-molded EVA and polyurethane midsoles and the EVA heel cushioning inserts. 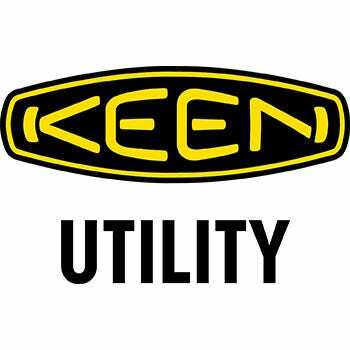 KEEN Utility's Key-Tech is a full-length TPU stability plate that provides forefoot flexibility, while also giving you added underfoot stability. The right and left asymmetrical steel toes meet the ASTM F2412-05 and F2413-05 I/75 and C/75 safety standards. This unique anatomically-correct design gives you much roomier toe boxes in these shoes. The non-marking rubber outsoles are attached directly to this exceptional footwear, giving you the highest level of flexibility and comfort. The rugged soles are resistant to oil and slipping as well. The KEEN Utility 1007024 Pittsburgh steel toe hiking boots offer ground-breaking style and hybrid performance that'll take you from rocky terrain to the mean streets of the urban jungle. A click of your mouse will add this KEEN Utility footwear to your cart, and we’ll do the rest. This was previously listed as style U610 35. I am not pleased with the quality of this boot at all. I am on my second pair in two months. The soles of these boots make them very comfortable but do not hold up. I work inside a planer mill with very little change in surroundings. The sole has started coming apart where it meets the leather on both pairs. The second pair the bottom of the sole is also coming apart in pieces. This is has never happened with any other boots I have purchased. These Keen boots were comfortable and light. The sole split from the upper after 2 months of wear. I contacted Keen and they gave me a credit to get a new pair of boots. I opted for the TAcomas rather than the Pittsburghs boots. Love the Tacomas. Keen makes the most comfortable steel toe boots out there. Durable and comfortable. I'll never ever buy another brand again. I have several pairs of Keen casual shoes and have had no issues with them. I am on my second pair of Tacomas now and just ordered a pair of the Louisville slip ons. Keen rules. Love them all!! These Keen boots rock! I wear steel toed boots day in and day out and I have owned all of the different brands of work boots over the years. While most steel toed boots are not comfortable, and have very little room in the toe, that is not the case with these boots. They are very roomy, and don't even feel like you are wearing steel toes. I live and work in a cold, wet, climate, and these boots keep my feet warm and dry on the coldest and wettest of days. I am on my feet all day, and wear my boots from 6 in the morning until about 9 at night some days. These boots are very comfortable, and did not require any break-in period like most boots I have owned. I would recommend these Keen boots to anyone. This is my first pair of Keen boots, but it definitely won't be my last! I have owned several pairs of Keen shoes in my life and I thought I would give there work boots a try. I'm glad I did because they are the most comfortable pair of work boots that I have ever owned. I always purchased Keen because they tend to have a wider toe box than other brands and these boots were no different. I see some of the other reviews say the the sole comes apart which I'm guessing is a fluke. I wore the sole completely off of mine and there was still no separation. In the end I wound up getting a full year of wear out of them which is almost six months longer than any other pair of work boots that I have owned. KEEN Utility 1007024 Pittsburgh Steel Toe Hikers is being added to your cart.